(Macao, March 15, 2018) – Sports and fitness enthusiasts looking for a unique challenge will have the opportunity to run up The Parisian Macao’s iconic Eiffel Tower on April 28 at the inaugural Light The Night Run charity vertical race to support the local Macau Special Olympics. Registration for the event will open on March 16 for contestants aged between 18 and 60. Entrants can register at the Olympic Sports Centre Stadium (Taipa) until April 13. More information can be found online at ParisianMacao.com/light-the-night-run. The first charity race to take place at The Parisian Macao’s half-scale, authentic Eiffel Tower, Light The Night Run will see athletes and adventure thrill seekers attempt to climb the 750 steps to the tower’s 37th floor observation deck finish line, where they will be rewarded with a spectacular view of the Cotai Strip. 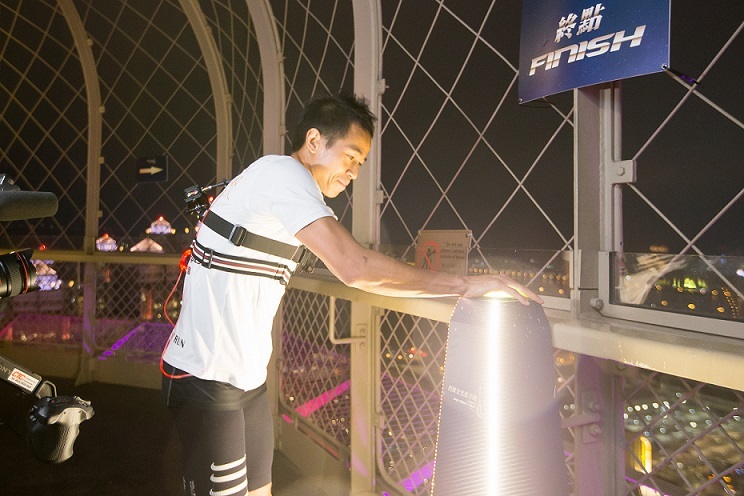 The event will be two-fold and include a Full Run where contestants will test their endurance by completing a running circuit around both The Venetian Macao and The Parisian Macao before attempting the tower climb, while a Tower Fun Run will take place between the Eiffel Tower’s ground and 37th floor. All registration fees for the event will be donated to the Macau Special Olympics charity, which provides year-round sports training and athletic competition in a variety of Olympic-type sports for people with intellectual disabilities. Money raised will cover Macau Special Olympics’ bowling training programme for 2018. A cocktail launch on Wednesday, March 14 to announce the event, included a demonstration of vertical running by two local professional sportsmen, with triathlete Mr. Kuok Chi Wai reaching the top of the Eiffel Tower in an impressive time of 3 minutes 24 seconds, ahead of boxer Mr. Ng Kuok Kun. 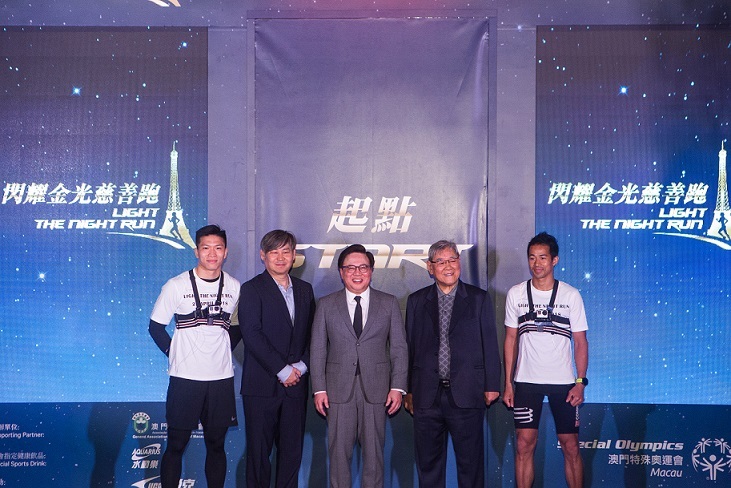 Mr. Hetzer Siu Yu Hong, CEO and National Director of Macau Special Olympics, said the organisation was honoured to have become the beneficiary of the first Light The Night Run. Events of this calibre are not possible without the support of the local community and official sporting bodies, and The Parisian Macao is pleased to partner with the General Association of Athletics of Macau to develop local sports and culture and raise the health of Macao citizens. Meanwhile to ensure participants stay hydrated, Aquarius from Coca-Cola is the official sports drink of the event, and UCAN SPORTS has sponsored the running vests. All competitors will receive a special memento from the day including a participation certificate, while prizes will be awarded to the winners in each category. The lucky winners can enjoy luxury getaways at The Parisian Macao, plus dining and spa vouchers and Parisian gym memberships. The Parisian Macao is also inviting local Macao residents, visitors and onlookers to come along throughout the day prior to the races to enjoy a range of family fun activities for adults and children. There will be various wellness activities, a chill out zone with kids’ playground, and entertainment throughout the day along with food and drink stations available for attendees, all set against the stunning backdrop of the Eiffel Tower. For more information about Light The Night Run registration, please visit ParisianMacao.com/light-the-night-run. The deadline for applications is April 13. 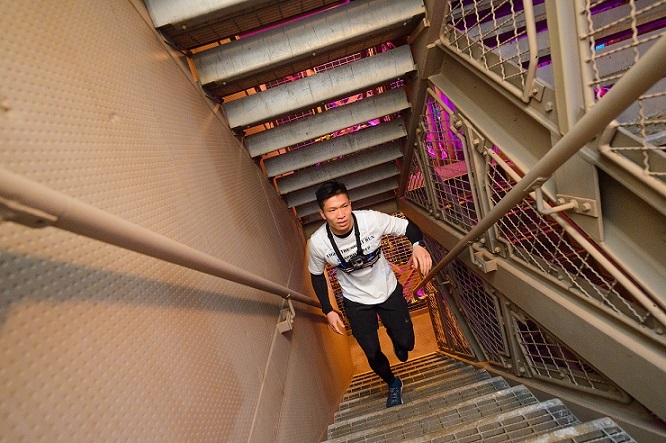 Photo caption: The first ever vertical race up The Parisian Macao’s iconic Eiffel Tower, Light The Night Run will take place on April 28 in support of the Macau Special Olympics charity. Photo caption: Boxer Mr. Ng Kuok Kun (left) and triathlete Mr. Kuok Chi Wai gave a demonstration of vertical racing up the Eiffel Tower as part of a cocktail launch to announce the event. The Parisian Macao is an integrated resort inspired by the magic and wonder of the famed “City of Light.” Featuring a half-scale authentic recreation of the Eiffel Tower, The Parisian Macao offers approximately 3,000 guest rooms and suites and a full array of integrated resort facilities, including meeting space, restaurants, Le SPA‘tique, QUBE Kingdom – Kid’s Play Zone, Parisian Health Club, pool deck, and a 1,200-seat theatre. The 300,000 square feet Shoppes at Parisian retail mall offers the latest in fashion and couture in a setting reminiscent of the streets of Paris, with an eclectic mix of street artists, mimes, and buskers heightening the authentic experience. Visitors can stroll among formal gardens, fountains, hedge mazes and reflective pools, and enjoy carousels, arcades and bistros.